Lambeth public health has launched a new health and well-being web page titled ‘Your Health’. 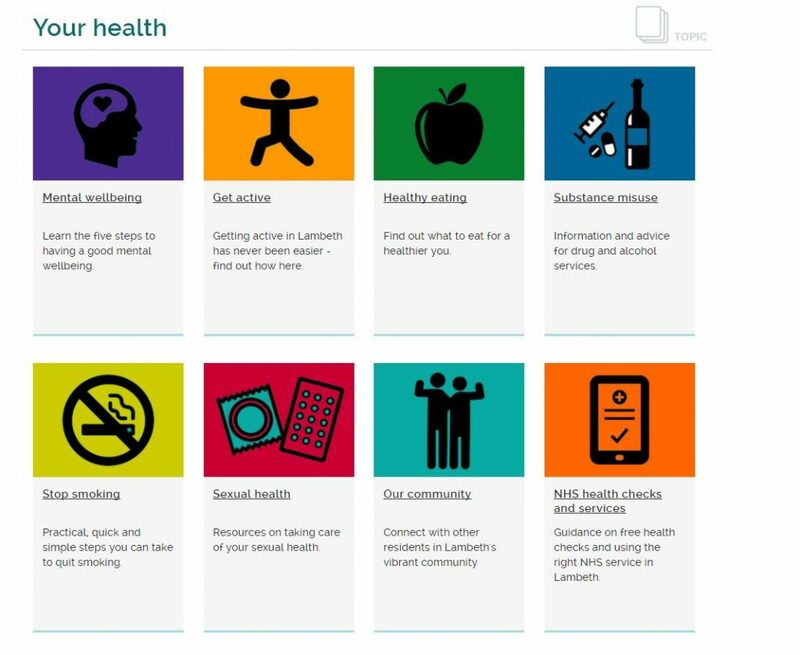 This digital resource will help to promote health and well-being amongst Lambeth residents. The site provides information and advice regarding health and well-being, as well as detailing all council services. The services are provided by community and voluntary sectors, to create an up-to-date and comprehensive directory. More specifically, this resource has updated information, advice and signposting to promote health and well being, including physical activity, healthier eating and sexual health. So whether it helps smoking cessation, cutting down on alcohol or just getting involved with a local community group in Lambeth. The Lambeth ‘Your Health’ page will be the place to start.